Gaysville bed and breakfast travel guide for romantic, historic and adventure b&b's. 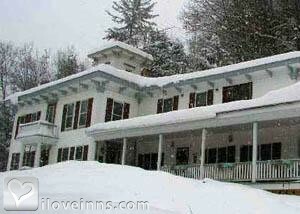 Browse through the iLoveInns.com database of Gaysville, Vermont bed and breakfasts and country inns to find detailed listings that include room rates, special deals and area activities. You can click on the 'check rates and availability' button to contact the innkeeper. Gaysville is a community in White River Valley in Vermont. Most Gayseville bed and breakfast inns are in elevated areas, cooler at nights during summer. The White River itself is the main provider of fun in the community. It is a venue for activities such as swimming, canoeing, kayaking, and fishing. About five miles away from Gaysville is Silver Lake State Park. 10 miles away are other wonderful attractions, such as Billings Farm Museum, VINS or Vermont Institute of Natural Science, Bridgewater Mall and Museum, as well as several historic covered bridges. By Cobble House Inn.